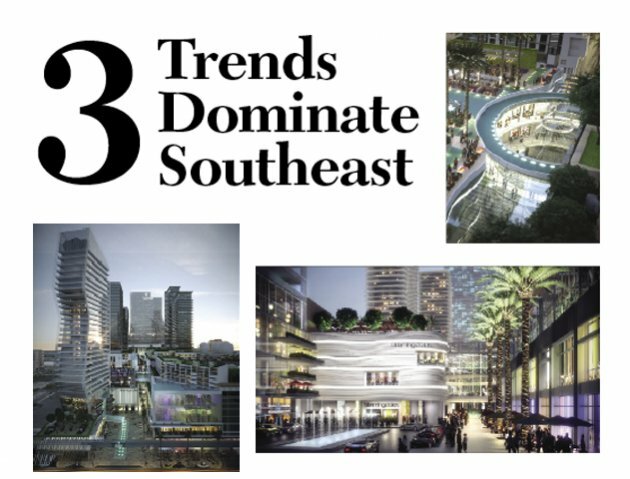 When you talk about Southeast commercial real estate, you consistently hear three topics of discussion: multifamily, mixed-use and distressed assets. Although it’s clear that Atlanta’s office market has made a massive rebound and Miami’s industrial market is booming—and although it’s obvious that Memphis, Raleigh, Charlotte and other southern cities are rebounding strong from the Great Recession on most fronts—multifamily, mixed-use and distressed assets are still the hot buttons as the Southeast begins competing nationally with other regions. But actually, it is kind of a surprise. As much larger cities on the progressive coasts struggle to prioritize multi-modal transportation against car-loving codes, infrastructure and voting populations, what is the Midwest city’s secret? What, exactly, is it doing right? 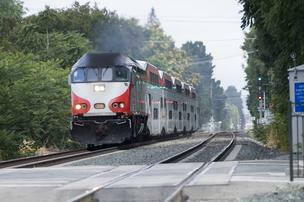 Caltrain, Silicon Valley’s primary commuter rail system, is slated to upgrade to new trains by 2019. Could a new coalition of businesses help move the needle sooner on upgrades to help address spiking ridership demand? Along with gourmet corporate cafeterias and sprawling, insular tech campuses, Silicon Valley employers are famous for their unique approach to commuter benefits — namely, the practice of eschewing public transit for private charter buses. Now, however, the San Francisco Chronicle reports that businesses including Google Inc., Oracle Corp. LinkedIn Corp., Stanford University and the San Francisco 49ers are among a group of area employers coming together to form a new Caltrain Commuter Coalition to improve local rail transit. As we have reported, Caltrain has struggled to keep up with surging ridership demands — particularly in the northern corridor running from San Francisco to Peninsula tech hubs like Palo Alto and Mountain View — ahead of a planned upgrade to new, electric trains in 2019. In the 10 years since the regional rail provider has offered a bullet train from San Francisco into the South Bay, the average number of daily weekday riders has jumped from 24,000 to 61,000 passengers. 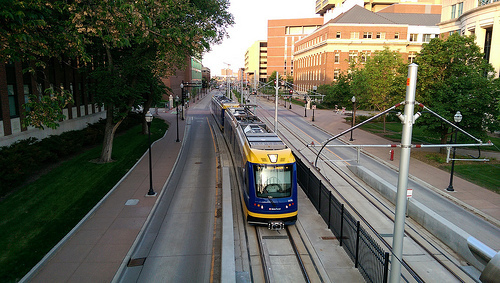 The new Green Line runs through the University of Minnesota. Photo by Michael Hicks on Flickr. Many proposed transit projects in our region, from streetcars to bus rapid transit and the Purple Line, involve vehicles running in the street. Giving transit a place on our busy streets can be a hard sell, especially when it means displacing cars. But a recent trip to Minneapolis shows how it can create better places for everyone, including drivers. While presenting at Rail~Volution last month in Minneapolis, I had a chance to ride the Green Line, a new light-rail between downtown Minneapolis and downtown St. Paul. The 11-mile line bears a striking similarity to the proposed Purple Line here in Montgomery and Prince George’s counties. Like the Purple Line, the Green Line faced resistance from a Republican governor and concerns about gentrification and neighborhood disruption from nearby large immigrant communities. 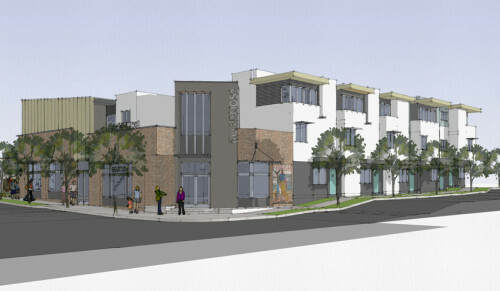 Artist rendering of the condos being constructed at Voltaire and Catalina. For the last half century, cities have attempted to repair the damage to their urban cores from migration to suburbs and exurbs. Redevelopment has evolved into smart growth, transit oriented development, and complete streets. In the last 15 years or so, the urban renewal efforts have had a receptive audience as people, tired of the car oriented lifestyle of the suburbs, are returning to urban cores and older urban neighborhoods. However, while cities get the big picture, too often in my 25 years as a land use attorney, I have seen the same mistakes repeated. Too often, cities and towns seem to think that all pedestrians need are sidewalks to walk on and greenery to look at. The same goes for bikes and bikelanes. It goes without saying that pedestrians and bikes work differently than cars, each with their own advantages and disadvantages. For example, a newish residential development near my home provides ample sidewalks along its curving streets. Much of the development is only a stones throw from a park and three public schools comprising K – 12. Eighty-six projects in 35 counties will improve safety and mobility with $84 million in Multimodal Transportation Fund investments from Act 89, the state’s transportation plan. 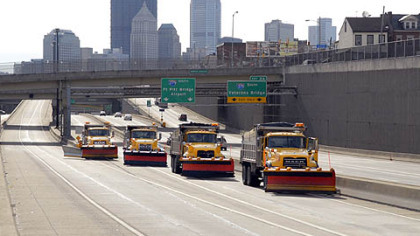 In addition to the 86 multimodal projects announced, PennDOT is investing $7.2 million in Act 89 transit funding for five transit projects that applied for multimodal funding. These grants were made possible by Act 89, which increased transit funding and established dedicated multimodal funding for aviation, passenger rail, rail freight, port and bicycle-pedestrian projects. The project funding comes from three state fiscal years of Act 89 investments.